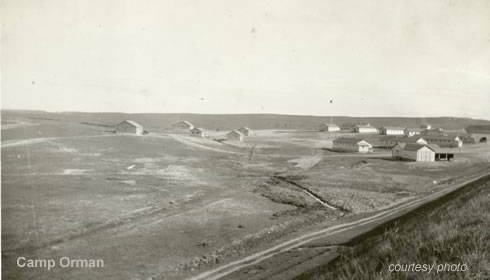 Camp Orman Dam, sometimes called "Fruitdale," was located at the west end of Orman Dam--6 miles north of Fruitdale or 12 miles northeast of Belle Fourche. It included 21 buildings that were erected in 84 days and the camp opened July 18, 1934, and closed sometime during early 1942. 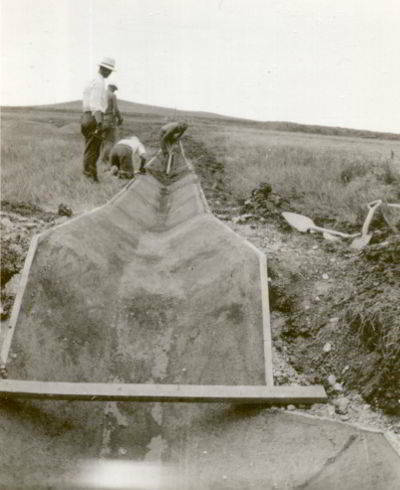 The objective of the work project under the Bureau of Reclamation was to repair and improve the Belle Fourche reservoir, with special stress on Orman Dam and the 654 miles of government maintained ditches. 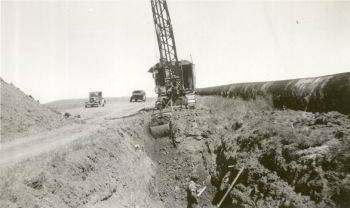 The work in 1934 included pouring concrete, replacing rip rap, cleaning and repairing irrigation canals, and crushing and piling gravel for use in road construction (1935). 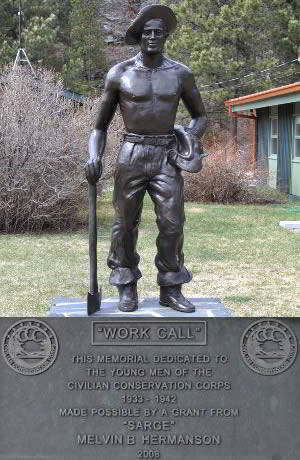 The camp superintendent reported that, at the end of 1934, men in the camp worked 19,173 man-hours. During that time 55 miles of canals and ditches were cleaned of vegetation and willows and 291 cu yd of rip rap were put in canals to prevent washouts. 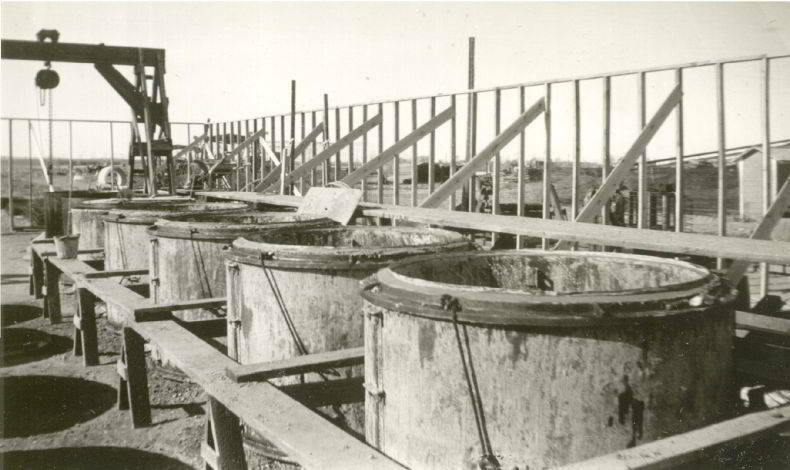 On Orman dam proper, 104 cu yd of concrete were poured to repair the damage done by high waters, and 3,984 cu yd of gravel were crushed and stock piled for future use on the irrigation project and roads (1935). The work done in 1935 was similar to that of the first year. It included cleaning vegetation from canals, fencing, making tile, working on stock dams, replacing rip rap on Orman Dam, concrete work on the face of the dam, and crushing and stock piling gravel (1936). By the end of 1937, 62,849 days had been expended. 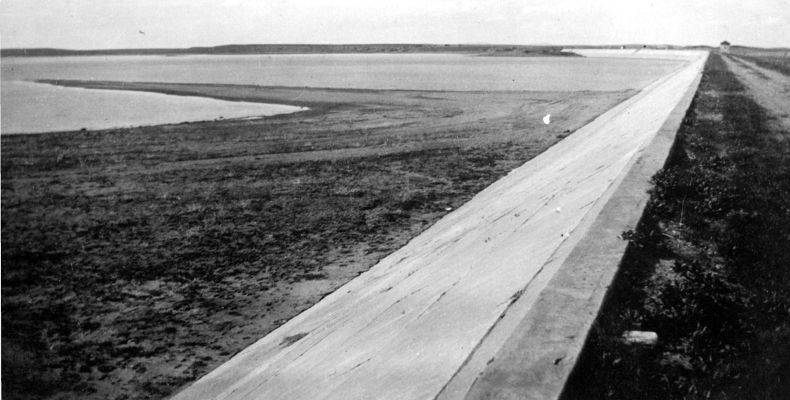 Work projects included the removal of vegetation from irrigation canals, so that water would flow freely to sugar beet fields, and installation of concrete linings in canals to reduce water seepage and prevent destruction of lateral canals (1937). 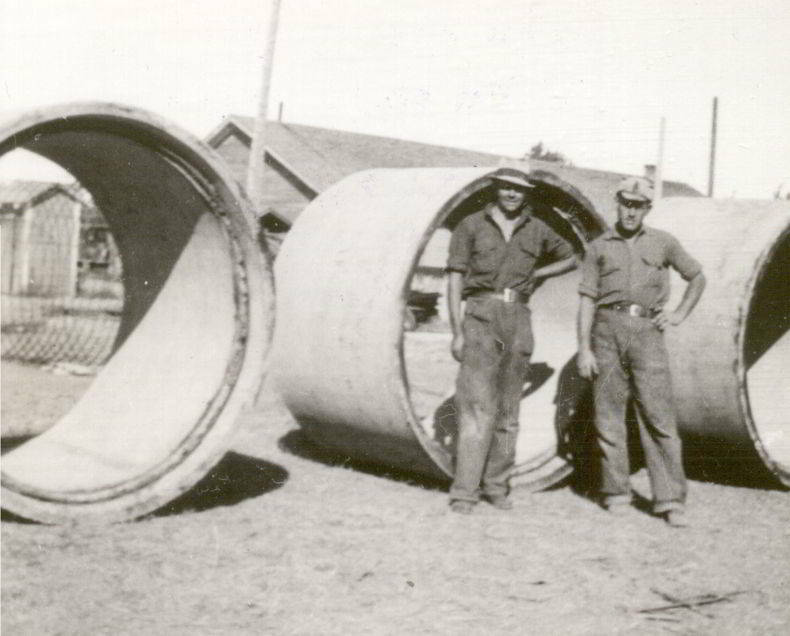 Over 500 concrete structures--storm culverts, drops, checks, and spillways had been constructed. 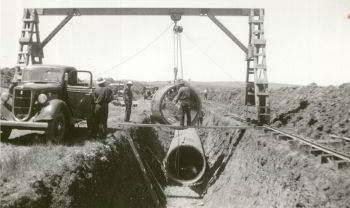 Over 40,000 linear ft of drain pipe and conduit had been lain, and 3,000,000 sq yd of canals had been cleaned (1937). Camp Orman was established as a drought-relief camp. Supervised by the Bureau of Reclamation, CCs worked to improve irrigation efficiency. At the dam they remodeled the outlet, riprapped the face of the dam and main canals and repaired concrete structures. They made and installed 1-1/4 miles of 30 to 60 inch concrete tile siphons, removed weeds and brush from 600 miles of canals and installed one mile of concrete pipe, 5 miles of concrete canal lining, 5 miles of drain lines, 15 culverts under North Canal and 1600 small water control structures. Enrollees graveled 6 miles of road, built several small dams and did work at the US Irrigation Experimental Farm, county fairgrounds, Orman Park, Nisland School, several places in Newell, the airport and a few private farms. 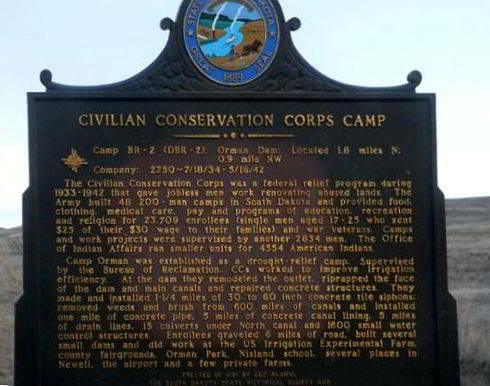 Notes: Camp Orman was established as a drought-relief camp.